Purrrfect commute! 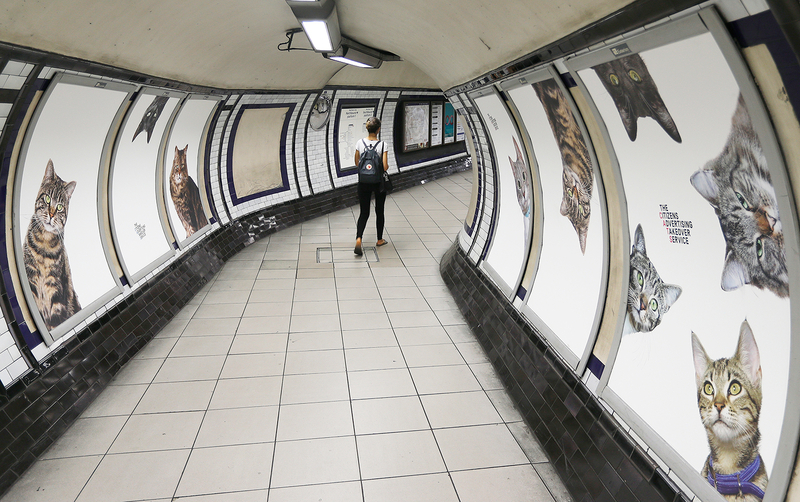 When London residents headed to work on Monday, September 12, they found the Clapham Common tube station was completely covered with pictures of cats. The giant images of felines were plastered on all the walls and peeking out from behind the turnstiles, which made for a very Instagram-worthy trip on public transportation. 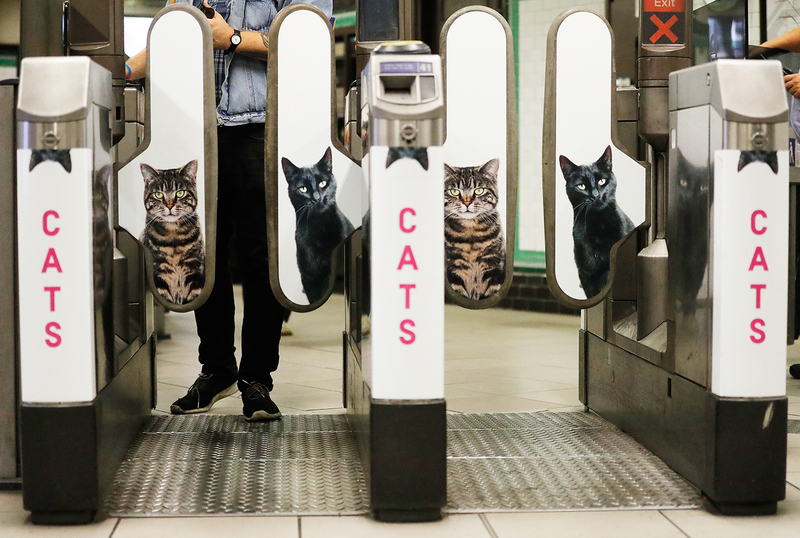 Around 68 advertisements had been replaced by pictures of fluffy kitties because the Citizens Advertising Takeover Service (abbreviated CATs, obviously) crowdfunded a campaign to replace as many London metro ads as possible with cat photos. According to CNN, all the pics are of stray cats from two rescue organizations: Battersea Dogs & Cats Home and Cats Protection. CATs used the popular site Kickstarter to raise about 23,000 British pounds (which equates to about $30,346) to make this campaign happen. According to Glimpse, the company behind the viral project, the images of the felines will remain there for two weeks. Turner said that he hopes advertisers realize the power they have and use it for good. “We want agencies and brands to be mindful of the power they wield and to use it to encourage positive values in society,” he said.